At around 6:10 on the evening of October 27, 1878 thieves broke into the Manhattan Savings Institution at Broadway and Bleecker Street and made off with $3.5 million in cash and securities – approximately $50 million by today’s standards. It was the most sensational bank robbery in US history. A decade later the heist was nearly forgotten and the Manhattan Savings Institute was preparing for a new, larger building. They turned to architect Stephen Decatur Hatch who was responsible for several Manhattan buildings, most recently the monumental New York Life Insurance Company Building at 346 Broadway. The bank moved into temporary offices in 1889 while the old structure at 644 Broadway was razed and construction started on the new one. For the new headquarters, Hatch used a harmonious mix of Queen Anne and Romanesque Revival styles and a medley of materials: carved and rusticated sandstone, terra cotta, brick, copper and cast iron. Hatch took advantage of the corner site, crowning the building with a copper-clad tower visible for blocks from either Broadway or Bleecker. 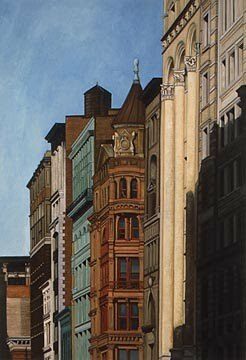 The façade is a visual feast of bays, pseudo-balconies, pilasters, arches and small-bracketed courses. In the pediment of the Broadway side the Institute’s monogram, MSI, stands in bold copper relief. 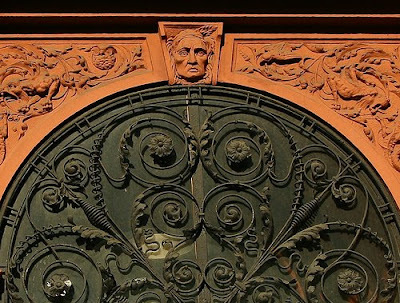 In a drastic diversion from traditional European decorative motifs – gods and goddesses, or allegories of continents or the arts, for instance – Hatch turned to the uniquely American. Beavers, ears of corn, and Native American faces adorn the keystones and cornices. Depositors were no doubt interested in the burglar-proof sales and vaults given the somewhat recent history of the institution. 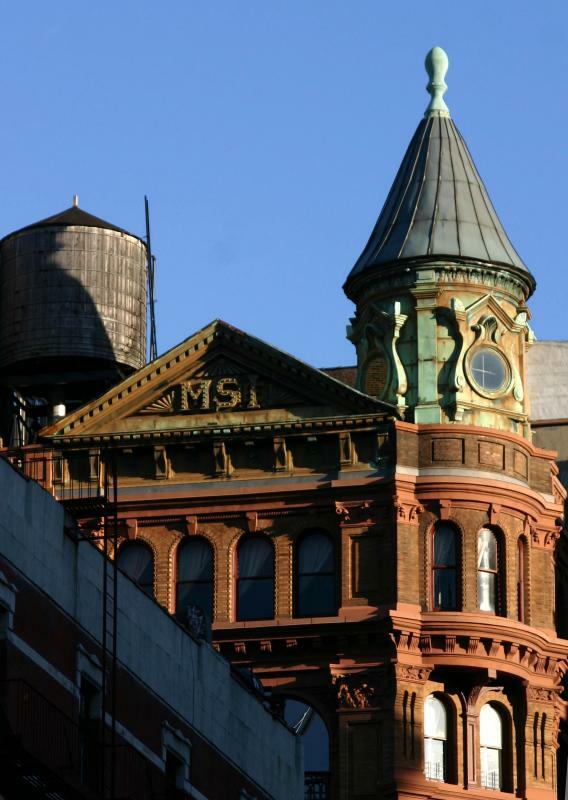 The Manhattan Savings Institute eventually became defunct and the Bleecker Street neighborhood became industrial. By the 1970s, after decades of neglect, the building was in severe disrepair. Stonework was disengaging from the façade and pieces falling to the sidewalk below. 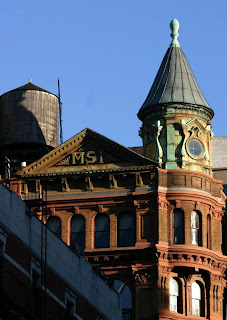 In the 1980s the old Manhattan Savings Institute building was converted to luxury loft apartments. The owners had “patch repairs” made to the facade in 1987 and again in 1992; however seven years later it was obvious that a more substantial restoration was necessary for the aging structure. 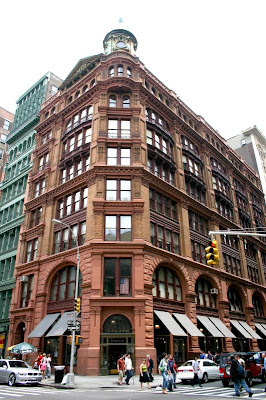 Walter B. Melvin Architects, LLC, was contracted to stabilize and restore the façade. Specially formulated coatings were applied to unify the façade and prevent water intrusion. The cast iron balconies were removed, stripped and rebuilt with stainless steel joints. 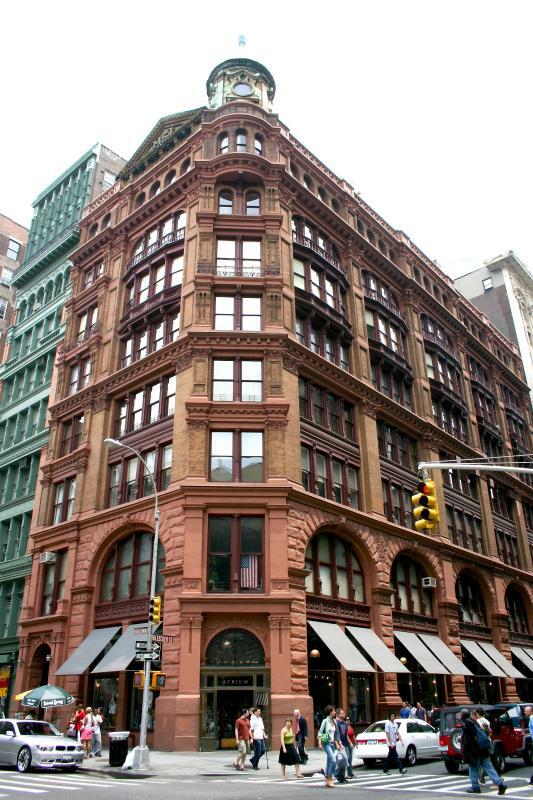 Trendy shops line Bleecker Street and Broadway around 644 Broadway now, and Stephen Hatch’s remarkable Queen Anne bank building breathes new life.